Make music with your feet! Select a sound (musical instrument, animal, or even your own voice) and dance across a giant virtual keyboard! 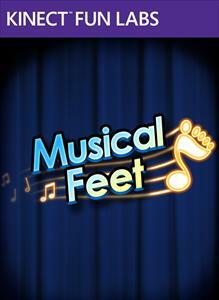 Ham it up to become a Music Feet maestro, and share recordings with friends and family! Note: Musical Feet requires a minimum play space of 7.5 feet (2.25 meters).